Ladders have taken the world of decorations by storm as they represent a low-cost method of creating an attractive and functional space in your home. 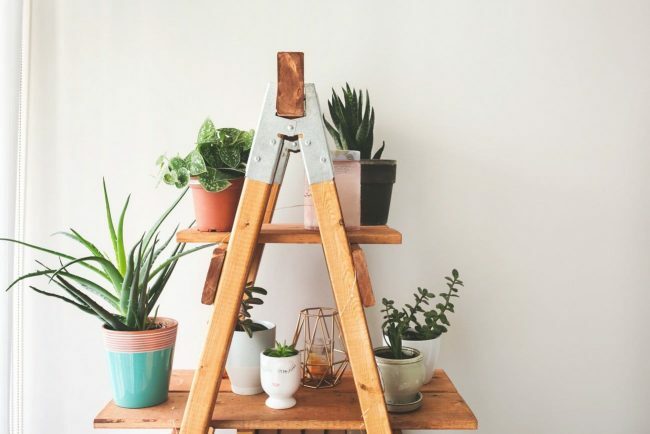 Many of the trendiest homes around seem to feature a repurposed ladder so if you’re considering to use a ladder as a furniture piece, it’s important to understand the best ways to decorate with it. The slim profile of the ladder makes it a suitable item for a wide range of design ideas. There’s also the feeling of openness which works great with certain design styles. While many methods for adding extra storage can end up cluttering the room, ladders seem to do exactly the opposite. It doesn’t matter if your ladder is older because you can easily turn it into an exciting home décor project. Unused ladders shouldn’t be left forgotten somewhere hidden from view. You can take them out of the back of the garage and make use of their vertical style and functional potential. Now it’s time to check out the cleverest ways to incorporate ladders in your home and update your interior look. Considering the small footprint of ladders, it’s not surprising to see how they can be practical to use as bathroom shelving. The bathroom is usually a smaller room in your home and it’s more susceptible to feeling cluttered. 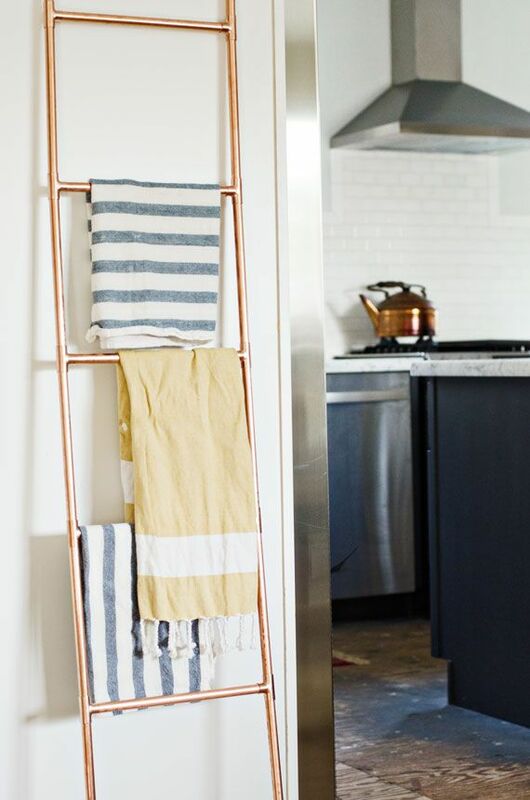 With the help of a ladder, you can add some of that charming openness as you most definitely need plenty of space to hang or store various items. 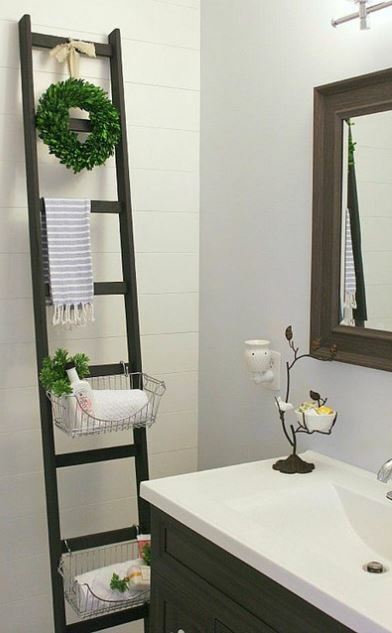 From hanging baskets to adding towels and other toiletries, ladders can create a very functional storage space. And the best part about this project is that it’s incredibly affordable and simple to do. It’s recommended to place the ladder near the tub and add some candles around to enhance the overall look. When it comes to the living room, many people prefer the feeling created by letting the walls more exposed. 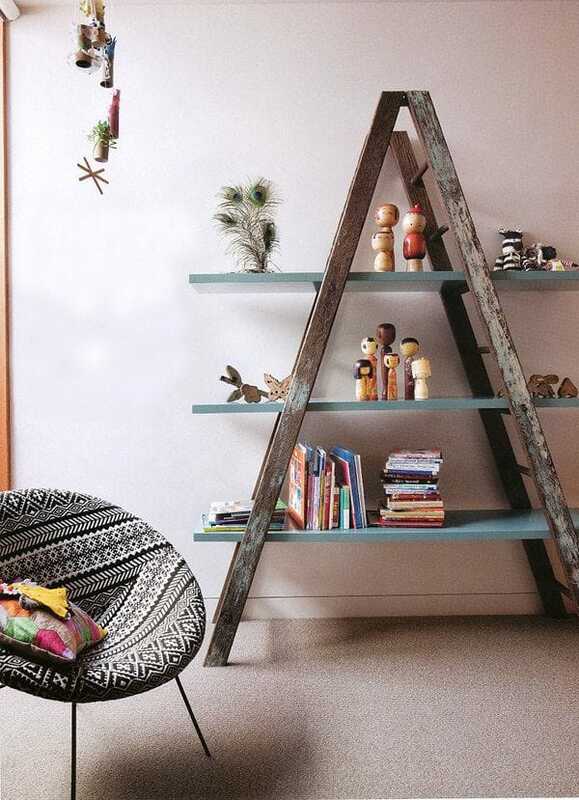 If you don’t like the cluttered sensation of the wall being blocked by a big furniture piece such as a bookshelf, you could try inserting a ladder which can truly improve the openness of the room. We really like this ladder on Amazon for hanging clothes and various small objects we have around the room. You’re not only creating the illusion of extra space available, but you can also benefit from plenty of storage – and that brings us to the next decorating tip. The ladder has great potential for displaying various items and you can turn it into a flexible shelving unit that’s able to show off all your favorite decorations. Making the shelves can take a bit of work as you will need to find the right ladder for the job and then add some pine planks. To make the ladder fit better with the rest of the room’s décor you can paint it and add some much-needed visual impact to an otherwise unremarkable room. 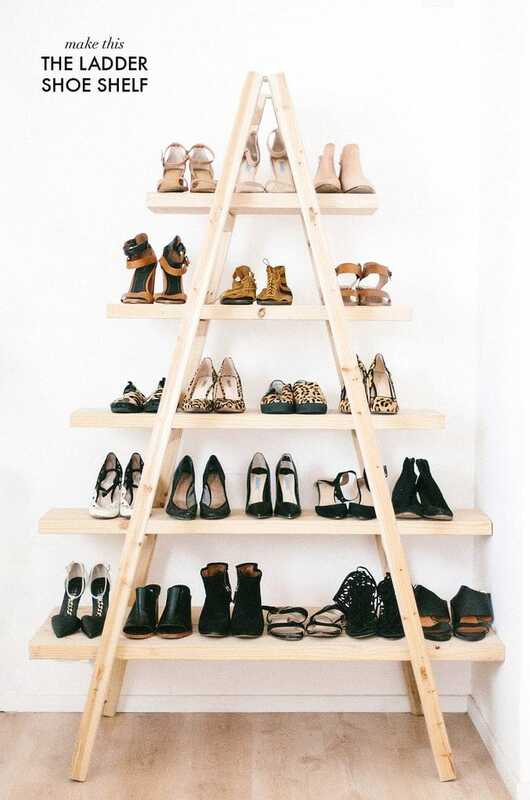 If we try to explore the storage potential of ladders, we can transform it into an inexpensive shoe rack or wardrobe for your clothes. Here’s an amazing idea for a DIY ladder wardrobe project. You will need only some common materials and the end result is remarkable, particularly for rooms where space comes at a premium. By suspending a ladder from the ceiling you can use it to hang various kitchen items such as pots and cooking accessories. This is definitely a pot rack that can grab your attention and make your kitchen stand out from the crowd. This kind of decorating idea works best in a rustic-style kitchen but even a modern one can benefit from a personalized touch. Take a look at this nice example of a ladder pot rack that you can actually build yourself. Ladders have a seemingly limitless storage potential. You can rely on them for storing items such as blankets if you want to add texture and color to the bedroom. There’s also the possibility to use it in the kitchen and store your favorite towels for easy access, without disrupting the traffic flow in the room. Alternatively, you can only use the ladder with a decorative purpose. You will need some vintage linens or towels that can enhance the look of the dining room when paired with an old-school ladder. Keep in mind that you should adhere the ladder to the wall and to the floor in case you plan on using more heavier decorations. 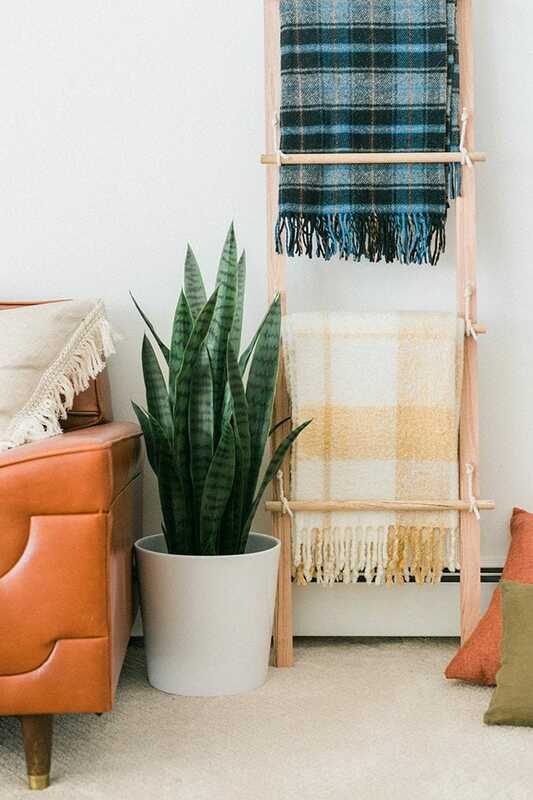 This is a highly popular idea to repurpose an old ladder and it can work very well both in a standalone style or mounted horizontally. The ladder takes up minimal square footage and boosts the light and airy vibe in the living room. Depending on the ladder’s dimensions, it can accommodate a solid number of books and can encourage you to expand your collection. 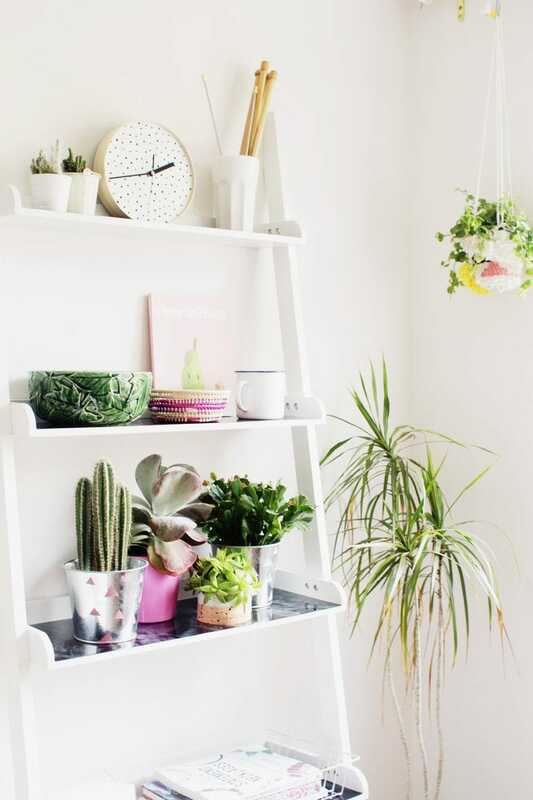 Using a ladder as a plant stand is a brilliant idea to add some vibrancy to any room. It’s important to let your creativity flow and select different plants for a more powerful decorating effect. Homes that lack natural light or horizontal surfaces can benefit the most from this method. Those lucky enough to have high ceilings will be able to show off all that vertical space. 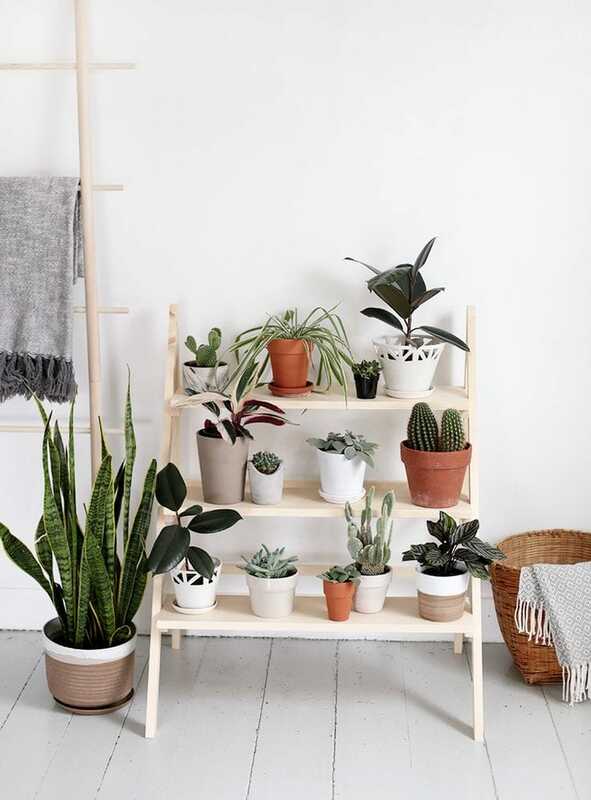 Stack potted plants on every level of the ladder without worrying about space constraints. Ladders can be very useful when it comes to maximizing your working space. You can count on it when you wish to de-clutter the benchtop and some of the areas that benefit the most are the kitchen and laundry. 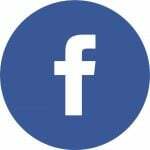 The best advantage of the ladder is the way it enables to use the available space more efficiently creating the illusion of larger places which are usually way smaller. A good example is to incorporate a wooden ladder into your small working area next to a desk. This is where you can place various items without affecting the style of the room. This idea can work best with vintage-looking ladders as they combine very nicely with industrial lighting. A quick DIY project in this regard is to hang the ladder horizontally in the dining room. As long as you’re careful and it stays firmly attached to the ceiling, you should be able to hang various lighting fixtures such as Edison light bulbs. You can be creative and add other fitting elements such as mason jar luminaries or dried herbs.